The stock was purchased from Google, which previously owned 15.7 percent of ARRIS but with the Comcast deal found its shares reduced in half. This deal makes Comcast and Google equal holders of common stock in the company. 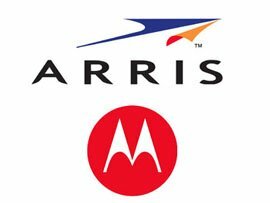 Although Bob Stanzione, ARRIS CEO seemed pleased, "We believe this investment by one of our largest customers is a strong indication of customer support for the Motorola Home acquisition and its potential to accelerate innovation to the benefit of the industry and consumers." The deal between Comcast and ARRIS is small compared to ARRIS's acquisition of Motorola Home for $2.35 billion from Google. Motorola Home was part of Motorola Mobility, which was in turn a subsidiary of Google Inc. It is expected that ARRIS will be an active participant in Comcast and that the two companies will work in close conjunction with each other. The result is, that after the dust settles, Comcast will have its foot in the door by owning part (7.85%) of the ARRIS Group's broadband media technological empire. ARRIS owns Motorola Home and Google is richer by $2.35 billion from the Motorola Home sale and $150 million from the Comcast deal. Additionally Google's shares of common stock in the ARRIS Group are now down to 7.85 percent.